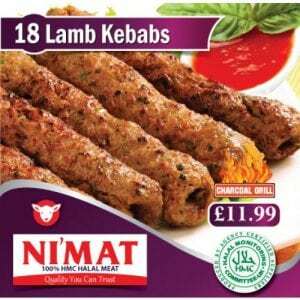 That fruitful day of summer in 2014, when we opened our first outlet by the name of Nimat in East London, we never anticipated the problems we would come across in the future. As every new comer in the field, we were very optimistic about our business venture and hoped all will go well. It wasn’t long before the reality hit us hard and we started feeling the heat of the troubles. For us, it was absolutely shocking to experience that how industry has been operating so far, without any help and support for the butchers and the meat shop owners. Here we are representing the multi million worth abattoirs, cutting plants, farmers and selling their goods at their terms and conditions without even us having a right to raise our voice for our genuine concerns and the well being of the butchers or shop keepers. Businesses in UK have been struggling immensely due to the global economic turmoil and we are facing serious shortage of trained butchers. On top of that, price fluctuations are not helping us where we get deliveries at higher prices without even suppliers feeling the need to consult us. Market is also facing monopoly issues by the suppliers and the Halal certification bodies which are creating more trouble for us. All these issues contributed towards making of HMSC (Halal meat sellers committee), which has grown exponentially within few weeks of its launch. This is ideal platform for sharing experiences, issues, addressing concerns and selecting best possible options to help the meat sellers which in return will help all the concerned parties of the industry. We are proud to be the collaborative business partners of HFA & Traditional Halal which is subsidiary of the largest Halal certification body of UK (HFA). We are grateful to their attention and willingness to address the issues faced by the meat sellers in terms of supplies, training, prices and fair trading. Another purpose of this organisation is to generate awareness amongst the butchers who are the back bone of the industry. A healthy butcher means healthy atmosphere of the outlet, good customer service and hence good sales as a result. Butchers are engaged in small-scale enterprises and their work involves contact with live animals, their carcasses, blood and body fluids. The purpose of this platform is to assess the occupational hazards and health problems of butchers in the industry. On behalf of the team of HMSC, I welcome Traditional Halal on board and wish them good luck in their efforts and pray for their success in serving the community.